“I wish I had more leftover bottle caps!” is not something you’re likely to hear anybody say. 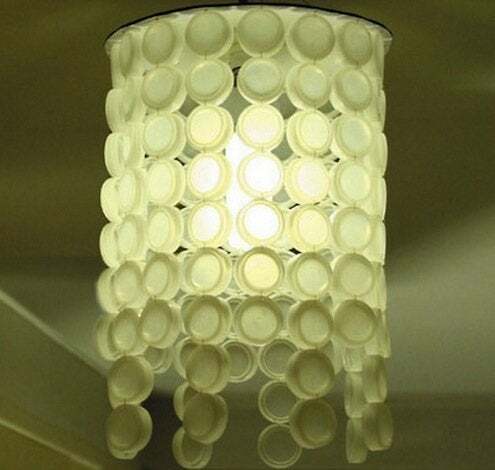 Given the abundance of water, soda, beer and wine bottles and their metal or plastic caps, some of us could side a house with our collection of unused bottle caps—which is exactly what somebody did, as you’ll find out below. Somewhat Simple came up with an easy way to turn a boring tray into a statement piece. 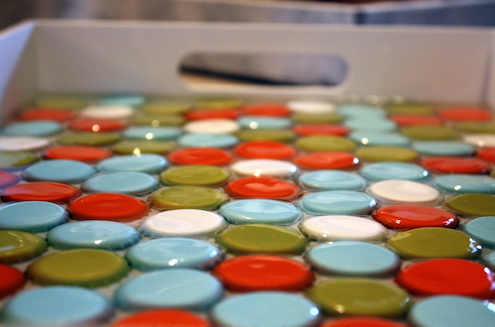 After spray-painting her bottle caps, she laid them in the bottom of the tray and poured acrylic water over them. So simple, even a novice DIY-er could pull it off! Coffee table looking a little glum? 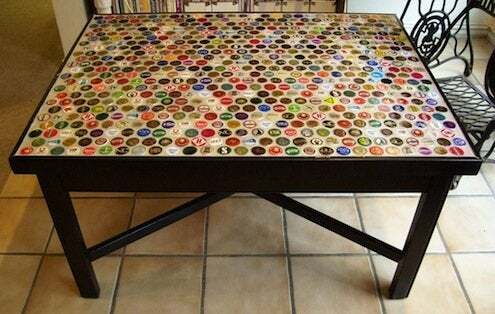 Give it the bottle cap treatment. After arranging the caps, proceed to grout and then seal the layer with resin for a totally revamped table. Get more info here. Making a room unique is all in the details—even the littlest ones. 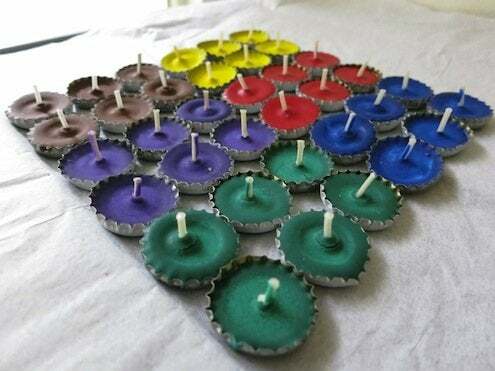 Use your leftover bottle caps to make tiny candles. All you need is a little wax and a wick. Finding yourself with more plastic bottle caps than metal ones? Check out this lampshade made by Esprit Cabane. Since it requires low-energy bulbs, the project is 100% green! GO BIG OR GO HOME. Or just go big ON your home. 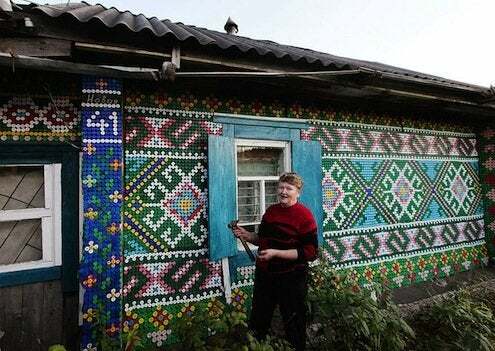 This Russian retiree decided she had enough bottle caps to completely revamp her home’s exterior. 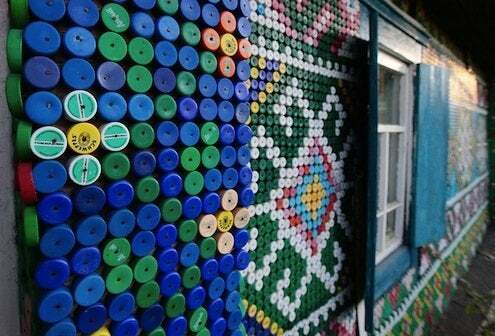 To date, she’s used more than 30,000 bottle caps to cover the siding and, in doing so, has put her small Siberian village on the map.